Quilters are a notoriously restless group, always seeking new ways to express their creativity. This lecture taps into the strong emerging trend toward embellishment of quilt surfaces. Paint, foil, paint sticks, thread, crayons, buttons, ribbons and beads are all readily available, fun, easy and non-messy ways to add that final design element to traditional and non-traditional quilts. Do you have a project that could use help with the "what, why & how" of quilting? 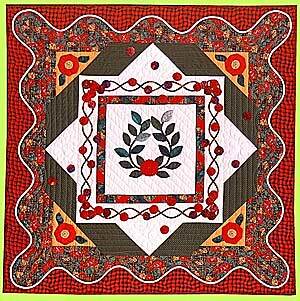 Learn the thinking process involved in selecting an appropriate quilting design. The emphasis of this lecture is the creative use of the quilted line. This informative lecture is for both traditional and non-traditional quilters. 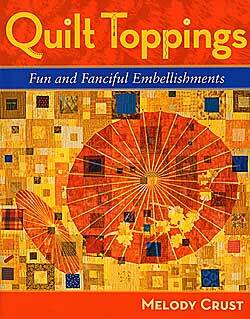 This lecture is a humorous look at how Melody designed and made her latest contemporary quilts including some from her books. Hear from her own lips how she recovered from quilt disasters and made "silk purses " from "sows ears". You can relate to these true confessions of the struggles and foibles of a prolific quilter. Lecture includes projected images and showing of many of Melody's quilts. Borders add something special! They can change the look of a quilt and add a wonderful finishing touch. Come away with ideas to beautifully frame your quilts. Learn how to repeat fabrics, color and motifs to plan a successful border. 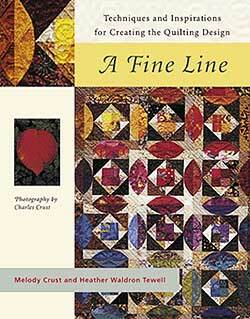 Melody will show lots of examples of traditional and innovative quilts. 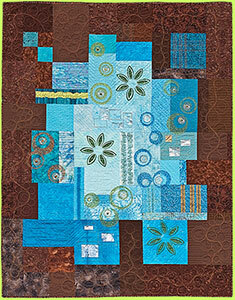 Tips and examples for quilting borders complete the final chapter.